It’s pretty easy to tell if we’re hydrated or not in the summertime. We sweat, lose water, and try to replace it. We’re constantly reminded of heat stroke and exhaustion should we fail to stay hydrated. Not the same attention is given to drinking water in the winter, though. That said, dehydration can be dangerous any time of the year. 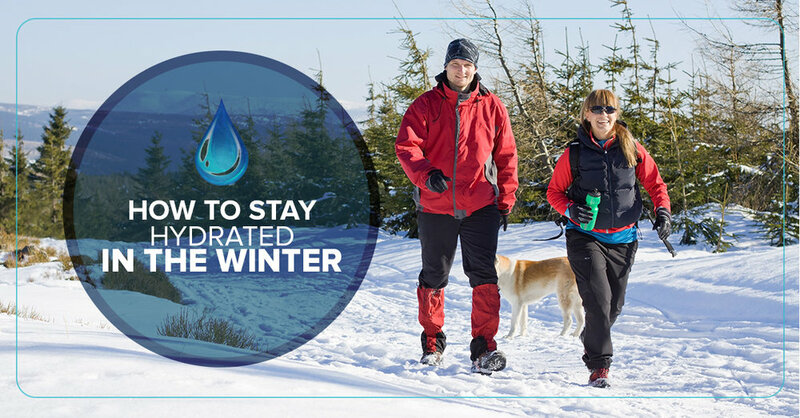 Keep reading for tips on how to stay hydrated even when it’s cold. Drink plenty of water - This is the most obvious one and yet people don’t do it. Let’s say, for example, that it’s well below freezing and all you want to drink is your favorite coffee. Not a smart move. Keep in mind that caffeine is a diuretic and may inhibit your body’s water absorption. Even on cold days, hold yourself to one or two cups of coffee at most. Otherwise, limit liquid intake to mostly plain water. Consider buying yourself a nice water bottle and fill it up regularly throughout the day. Eat hydrating foods - There are countless foods that provide a hydration boost. The next time you’re at the store, consider fruits such as apples, cantaloupes, watermelons, and oranges. In terms of vegetables, opt for celery, cucumbers, and tomatoes. If you just can’t stand the taste of plain water, you have a few options. One is coconut water. No other beverage offers the hydrating qualities of coconut water. Another possibility is green tea. In addition to being hydrating, green tea also packs a variety of nutrients that will keep you feeling great. What about sports drinks? Sure, they’re loaded with electrolytes and amazing taste. But sports drinks are also laced with sugar and come nowhere close to the hydration that comes with pure water. Use a humidifier - Homes and workplaces tend to be extremely dry this time of year, especially in Colorado. That’s why it’s a good idea to invest in a humidifier. Your skin will appreciate the extra moisture in the air. Take a long bath or shower - Are you concerned with your skin becoming too dry in the winter? Then treat yourself to a long bath or shower. Once you’re done, keep your skin looking and feeling fantastic with a quality moisturizer. Another pro tip: prop the bathroom door open to let the steam into other rooms of the house. Get outside more - It’s easy to spend most of the winter bundled up inside. However, staying inside a dry, heated home only dries out your skin more. Even if it’s for just 20 minutes a day, get outside to allow some of the moisture to naturally infiltrate your body. Are you prepared for the coldest months of the year? At Elevation Hydration, we can help you stay hydrated and well. Our team understands the power of hydration treatment. Intravenous hydration therapy is one of the safest, quickest, and most effective ways to deliver vital nutrients to the body. IV hydration therapy allows the body to instinctively remain healthy, repair/rebuild, and fend off invading organisms. Now’s the perfect time to see what our hydration clinic can do for you. Call Elevation Hydration today.